​Cicely Nelson has been certified and teaching the Pilates Method for fifteen years in a wide variety of settings, from the Pacific Northwest Ballet, to some of Manhattan’s longest running and most well-regarded studios, to cutting edge Canadian physical therapy practices. With Erika Bloom Pilates since its Madison Avenue inception in 2006, she also served there as the Director of Education and Teacher Training, Head of Erika Bloom Turks and Caicos, and opened the first West Coast location in Brentwood, California for Erika Bloom Pilates in 2017. 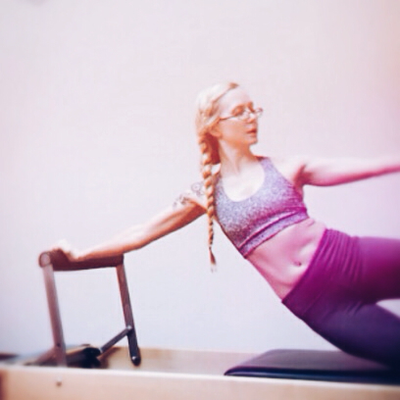 As of fall 2018, find her teaching in Los Angeles at the Moving Joint, Mind & Motion, Erika Bloom Pilates, and at her private studio in northern Santa Monica. She participates regularly in continuing education and leads teacher trainings. 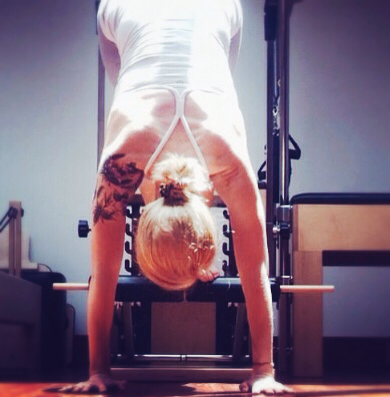 In addition to her Pilates certification (Balanced Body, PhysicalMind, and Stott) she holds numerous certifications in Pilates and Yoga modalities, physical therapy and rehab, and Thai Massage; specializing in pre and post natal care (especially diastis recti), scoliosis, osteoporosis treatment and prevention, neurological conditions, general injury prevention and rehabilitation, and palliative care. Cicely’s teaching runs the gamut from mindful and somatic to rigorous and athletic, depending on students' needs and preferences, but alignment and structural and somatic integrity are always priorities. She is also a flamenco dancer and dance teacher and her training in both dance and music performance and pedagogy informs her therapeutic movement practices.